The Casa Loma Gift Shop is located on the lower level of the castle at the foot of the stairs, next to the Liberty Café. Originally designed as a three-lane bowling alley, this gift shop offers unique souvenirs to travelers visiting, printable gift items for weddings and corporate events and gifts for children. • We are pleased to stay open for large corporate or private events. Please call to enquire about the hourly rate. • To wedding clients we offer engraving, and printing on their choice of Casa Loma gift items. 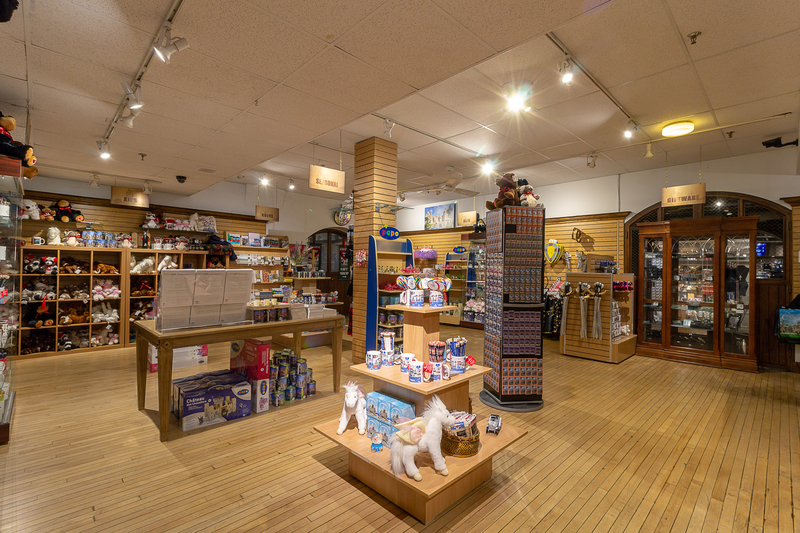 The Casa Loma gift store is open seven days a week, 9:30 a.m. to 5:00 p.m. with the exception of December 25. The Casa Loma Gift Shop is located on the lower level of the castle at the foot of the stairs, next to the Liberty Café. Originally designed as a three-lane bowling alley, this gift shop offers unique souvenirs to travelers visiting, printable gift items for weddings and corporate events and gifts for children. Besides the variety of unique mementos sold only at Casa Loma, the Gift Shop also offers the following services and incentives: • We are pleased to stay open for large corporate or private events. Please call to enquire about the hourly rate. • To wedding clients we offer engraving, and printing on their choice of Casa Loma gift items. HOURS: The Casa Loma gift store is open seven days a week, 9:30 a.m. to 5:00 p.m. with the exception of December 25.